Lamudi Philippines, the biggest real estate portal in the country today is organizing another milestone event for the property sector. 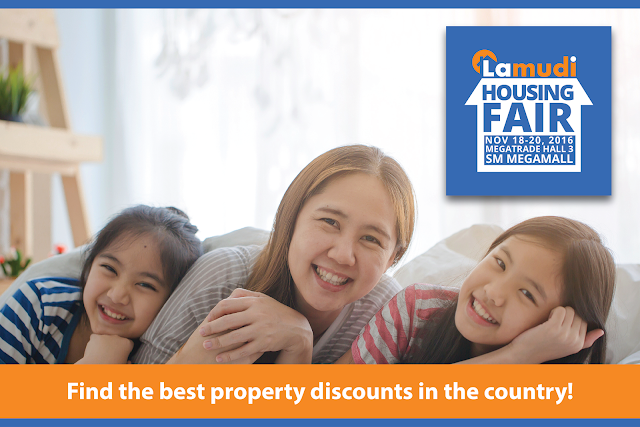 Slated on November 18 to 20, 2016, the Lamudi Housing Fair will be the largest housing event in the country to feature the widest selection of properties and offer exclusive discounts to home buyers and property investors. To be held in Megatrade Hall 3, SM Megamall in Mandaluyong City, the housing fair is expected to attract more than 5,000 attendees. But more than just a show of various real estate projects and a shower of home-buying discounts, the Lamudi Housing Fair is also a venue to learn the latest trends in the industry. The Lamudi group will facilitate investment and home buying seminars, foreclosure property auction with partner banks and brokerages and will showcase the most modern technology application in real estate such as Virtual Reality. The global property website is staging the event not only to highlight the different projects to choose from all around the country but to be an avenue for the public to know more about the workings of the industry. Both real estate sellers and buyers can take advantage of the offerings in store at the fair. “The Lamudi Housing Fair will bring together the top players of the real estate landscape in one venue; property buyers can feast their eyes on various realty selections that will suit their budget and preferences best. Top of all, home buyers can finally acquire their dream house in discounted prices that they can only get here,” shared Jacqueline van den Ende, Managing Director of Lamudi Philippines andMyProperty.ph, two of the Philippines’ largest real estate portals. Some of the sponsors and exhibitors include, Filinvest, Eton Properties Philippines Inc., Hoppler, Lhoopa, San Jose Builders, Shang Properties, Greenfield Marketers One, Property 101 Inc., Dataland, Sky Residence, Castille, Damosa Land and RCBC Savings Bank. Fun games and activities will also be available for the whole family and exciting prizes awaits the first 100 attendees to register at the Lamudi Housing Fair Booth.